How to find a qualified Reflexology practitioner wherever you go. 1. First you ask around, as word-of-mouth is the best referral. Then you do your homework. 2. 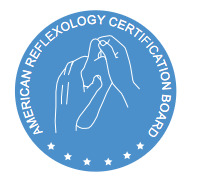 Check if the practitioner has a full listing here www.arcb.net - American Reflexology Certification Board, an independent certification agency with strict adherence to the standards of the Reflexology profession. 4. Another good resource for serious local reflexologists are national and state association. You will find the listing by State here www.reflexology-usa.org. Association members are concerned with the professionalism and advancement of reflexology, as well as protection of public health and safety. 5. You may see a current professional liability insurance certificate in the office of a serious practitioner. If you are looking for a reflexologist in New Hampshire, North Dakota, Tennessee or Washington, then a person should have a current State License. Our Connecticut State does not have Reflexology State Licensure laws on the books. Reflexology is a unique therapy that should be administered by a Certified Reflexologist, such person has completed unique Reflexology-specific training (typically 200-300 hours in the USA). According to the standards of most state and national reflexology associations along with the national certification board, this training must include classroom instruction on techniques for the feet, hands and ears, application of different protocols for particular body systems or particular pathologies. as well as learning anatomy, physiology, professional standards and ethics. It also requires a completion of a minimum 100 documented practical sessions and it teaches how to keep session notes. The National Institutes of Health, National Center for Complementary and Integrative Health (NCCIH) defines reflexology as a separate therapy. True reflexology is performed only on the reflex maps of the body located on the feet, hands and outer ears and it is different than massage or acupressure techniques. Also be aware that there’s a recent trend offering online training in reflexology. Learning to locate reflexes on different individuals and modulation of pressure, etc., cannot be taught online. From time to time I hear the horror stories of feeling unwell from the so called “Reflexology” performed by an untrained person. Foot rubs at the strip malls/nail salons are not qualified to be called Reflexology, even if they advertised as such. Expect the fee for your real Reflexology healing session to be higher than the price for a salon foot rub. It may be between $60 and $150 per session, depending on area of the country and the length of the session. This difference reflects education, experience and proper certification of a qualified Reflexology practitioner. So, my advice is: do not risk your health and waste your money on false ads and claims. Be more concerned about your health than your wallet in such case! In my 17 plus years of actively practicing professional Reflexology, I have performed over 20,000 sessions. This number does not include countless sessions on friends and family outside of work. So be bold, ask about the number of client sessions in the practitioner experience - not necessarily the number of years of work. This will insure you’re working with a truly experienced reflexologist. 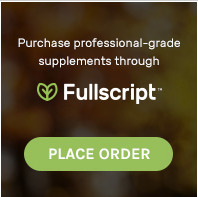 My virtual dispensary FullScript offers you professional grade natural health products, supplements and teas at significant discount 20%. The products are delivered to your door within days and shipping is free on all orders over $50. Check it out here. The access to Mossnutrition.com products will remain the same with a 15% discount. If you are in my practice and want the access to this great source of info from Dr. Jeff Moss and his line of supplemental products, please call or email me for the discount code. It may sound complicated at first, but I urge you: do not give up. I am here to help you review your current need for supplements or power food and to navigate through many different brands.